How Do You Finance a Home? Principal. The total amount you would need to borrow to pay for the home and closing cost (We will talk about closing cost later). Interest. This is what you would pay for having the bank be so kind to lend you the Money. Your monthly payments will be based on an amortization schedule in which the percentage of each payment that goes to interest gradually decreases as your equity in the property increases. You usually won’t see significant reduction in your principal until the latter part of the loan. You can also select between a fixed-rate mortgage— This locks in your interest rate for the life of the loan—and an adjustable-rate loan, one in which the interest rate may fluctuate from year to year. There are advantages and disadvantages to each. You need to compare the rates and make a guess of how future rates will move, as well as how long you plan to stay in that same home. Lower loan rates often require that points be paid up front. A point equals 1% of the loan's principal and represents pre-paid interest. In the past few years there has been some creative financing from some lenders that promise lower payments up front and conveniently disregarded telling you of the balloon payment that would be due in a few years. The real estate marketing is slowly started to correct itself from the all the financial mistakes of the big banks and Wall Street. We at Orlando Realty Pros have teamed up with some very reputable and honest brokers and lenders that will explain the Mortgage process step by step. Your understanding on what kind of loan you qualify for and how it is structured is paramount to us. 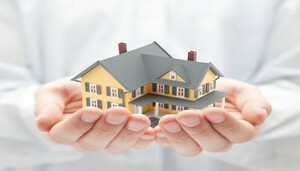 In order to know how much home you can afford, you will want to be pre-approved by your lender. In the pr-approva l process, your lender will examine your gross monthly income and your long-term debt, using a set of loan ratios. For instance, to figure your total loan amount, a lender will calculate 33% of your monthly income and subtract your monthly long-term debt (loans, credit cards, car payments, etc.). That number will be compared to 25% of your gross monthly income. The lower of the two numbers will be considered the maximum monthly mortgage payment you can afford. The total amount you can borrow will be calculated from that figure.